Hardwood maple floor, centre light, emergency light, fire alarm, wall heater. Living Area - Hardwood maple floor, large wall heater, centre light, window to the side of the property with curtain and curtain pole, 8 power points. Kitchen Area €" tiled floor, floor and eye level fitted units with tiled splash back, electric oven, hob with extractor over, centre light, window to the side of the property. WC, WHB withÂ mirror and light over, bath, electric power shower, tiles on floor and walls, wall heater, extractor fan, centre light. Carpet floor covering, fitted wardrobes, window facing to side with curtains and curtain pole, centre light, wall heater, phone point, 6 power points. En suite (1.46m X 1.94m) €" WC, WHB with light over, electric power shower, fully tiled floor and walls, extractor fan, wall heater, centre light,Â window facing over side of the property. Carpet floor covering, fitted wardrobes, window facing to side with curtains and curtain pole, centre light, wall heater, 4 power points. 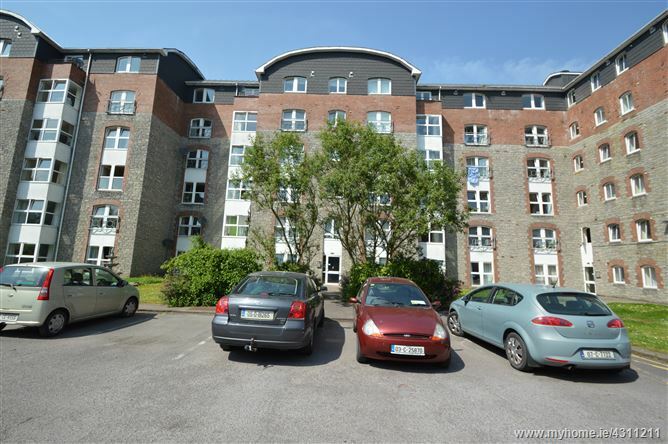 Highly desirable residential location with easy access to the city centre and to UCC, CUH, Apple etc. Recently refurbished with all modern conveniences. With one designated parking space.